From a selection of rings that we have available in our London shop. Please Contact or visit us to see our full range. Art Deco diamond and ruby ring. Art Deco diamond and sapphire ring set in platinum. 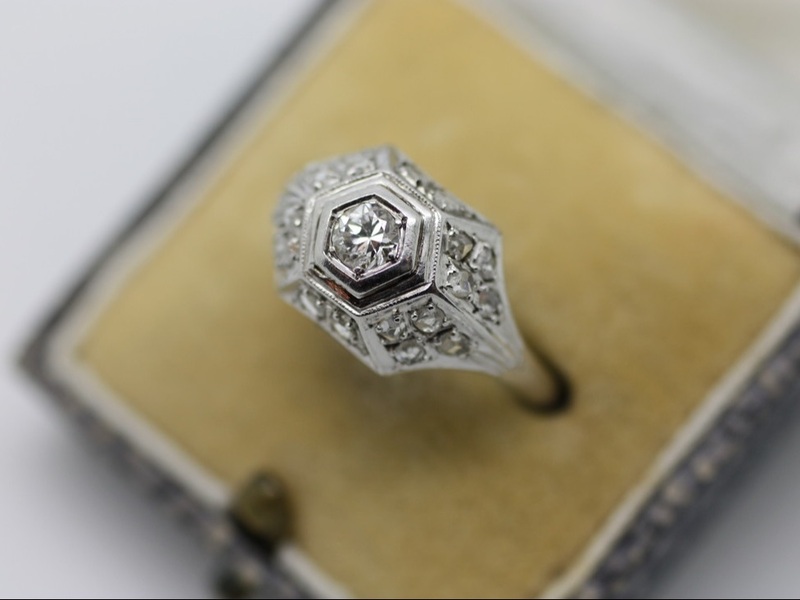 Platinum Art Deco diamond ring. 18ct gold diamond & sapphire ring. Centre diamond is approx. half a carat. Ruby and diamond ring in 18ct gold. circa 1920s. 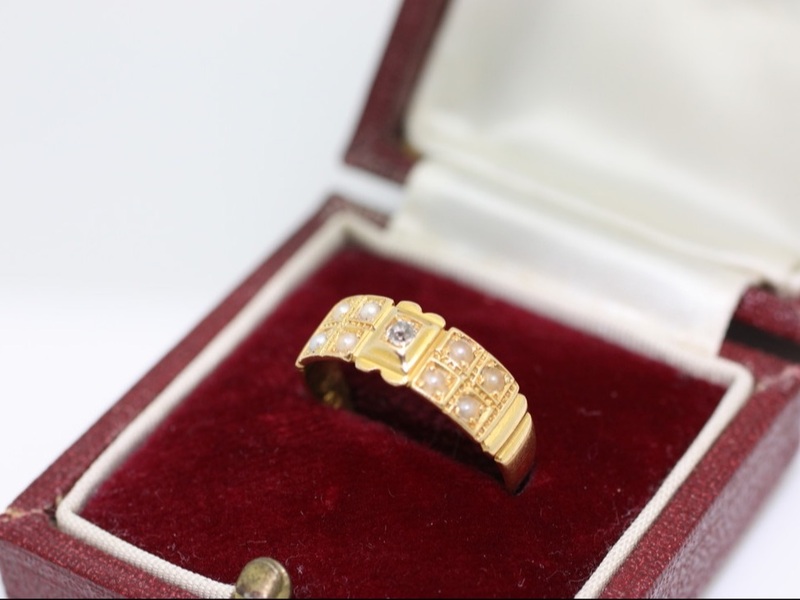 3 stone diamond ring. Set in 18ct gold. 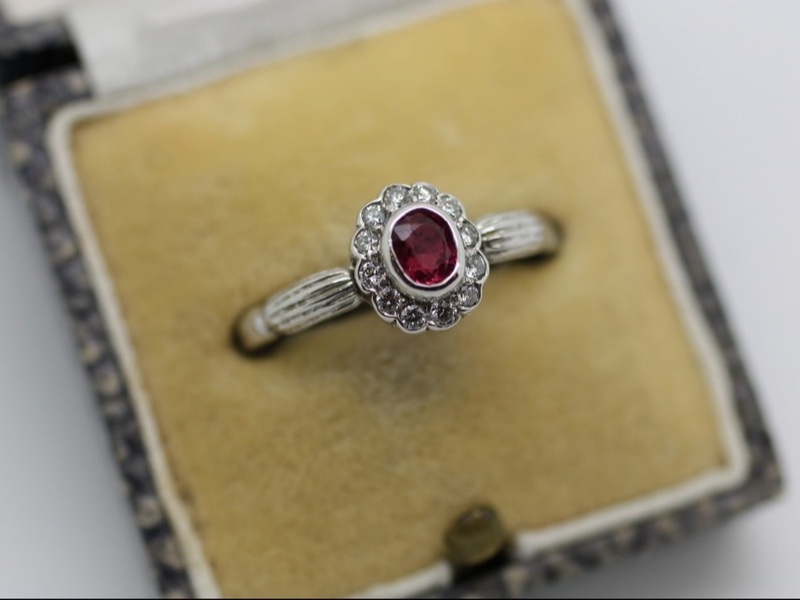 Ruby and diamond daisy ring. 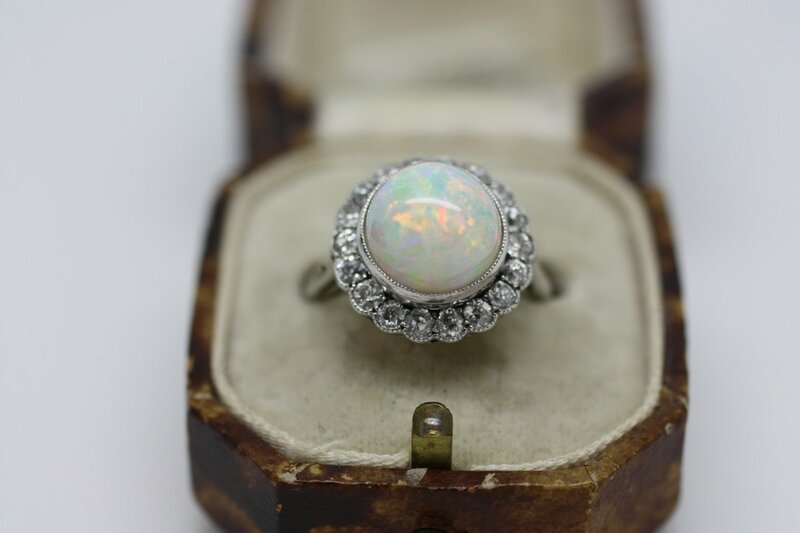 Victorian diamond and seed pearl ring, 18ct yellow gold. 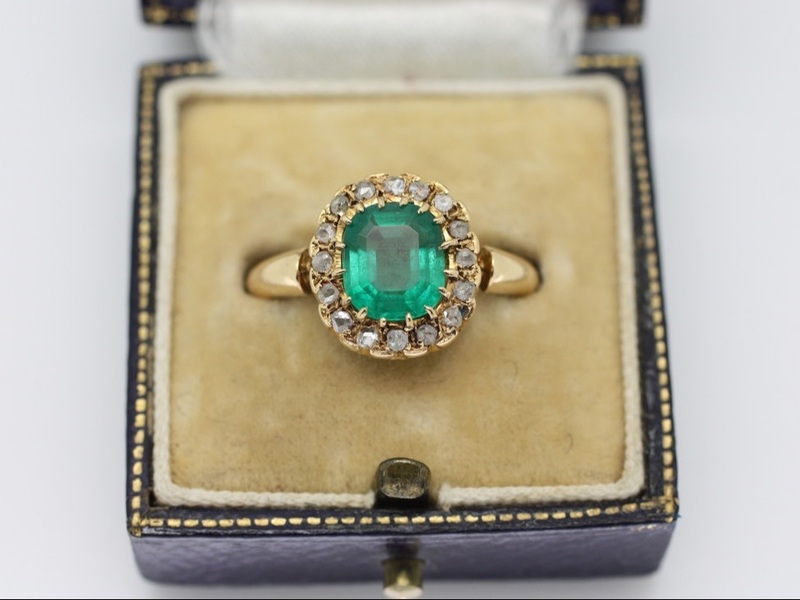 Emerald and diamond Edwardian ring in 18ct yellow gold. 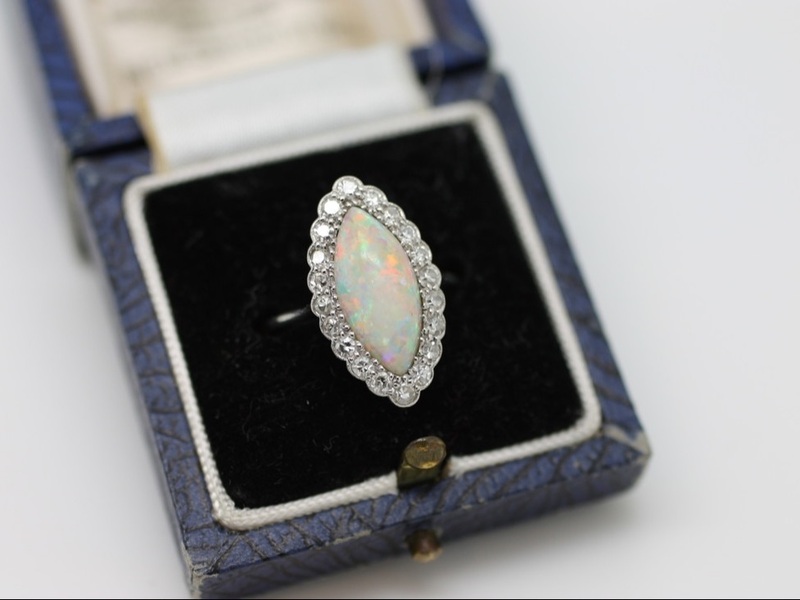 1920s platinum ring with diamonds and fabulous cabachon opal. Diamond 1920s French Platinum ring. 18ct yellow gold Victorian diamond and seed pearls ring. Diamond and cabachon Opal ring. Circa 1920s in platinum. 18ct gold diamond daisy ring. Diamond and amethyst ring, 18ct yellow gold.